Rounded corners are all rage down in Fish Bend. Holy crap when is Matthew Guy going to start approving these babies?! My only issue with this area is that I would hate to see each block filled to this scale with one podium. The areas masterplan needs to include squares, community facilities, laneways and a general activity centre hub in each of the FB areas. The best way to make these new areas is to fit in with the existing Melbourne CBD's use of laneways to provide some points of interest for retail and art to utilise. Using large single developments of the scale would make such a plan very hard to achieve. Anyone know what's happening to this ? A community group that has worked closely with Labor in recent years has turned on the Andrews government, accusing it of betrayal over a massive development that has been approved in Fishermans Bend. 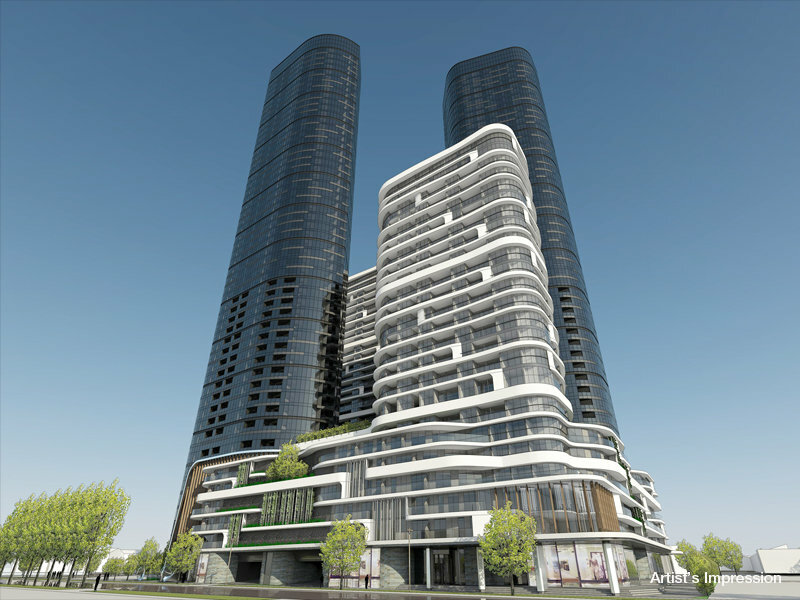 Planning Minister Richard Wynne on Thursday approved four towers – two of them 51-storeys high – in South Melbourne's Johnson Street, which forms part of the Fishermans Bend Urban Renewal Area. The project was put forward by developer Maxvic Holdings in 2013 after the area was rezoned by then minister Matthew Guy. The four-tower residential development, designed by architects Rothe Lowman, will feature a 21-storey tower, one of 27 levels, and the two rising to 51 levels. The towers were lowered by seven levels in order to gain approval. The project will include 1276 apartments – with only 25 of them being three-bedroom. The remainder will be studio, one or two bedroom units. Mr Wynne said that no apartments would have a smaller floor space than 40 square metres. Developer contributions would deliver more than $25.4 million for infrastructure, Mr Wynne said. I'm getting sick of these height reductions. Good it's approved though. From what Mark posted last month is sounds like they might have been increased in height to 58 levels then reduced back down to 51 levels??? I am eagerly waiting to hear the justification for reducing the height of these towers. My only thought would be that it may have overshadowed a future park planned for the area? Heard on the radio this morning that residents are furious because Wynne approved the tower when there are mandatory height restrictions in place for 40 levels. Not sure if they realise it's only for new proposals. Was thinking though, could these height restrictions be because the government doesn't want to overpopulate the area before services are put in place? I can't think of any other reason? 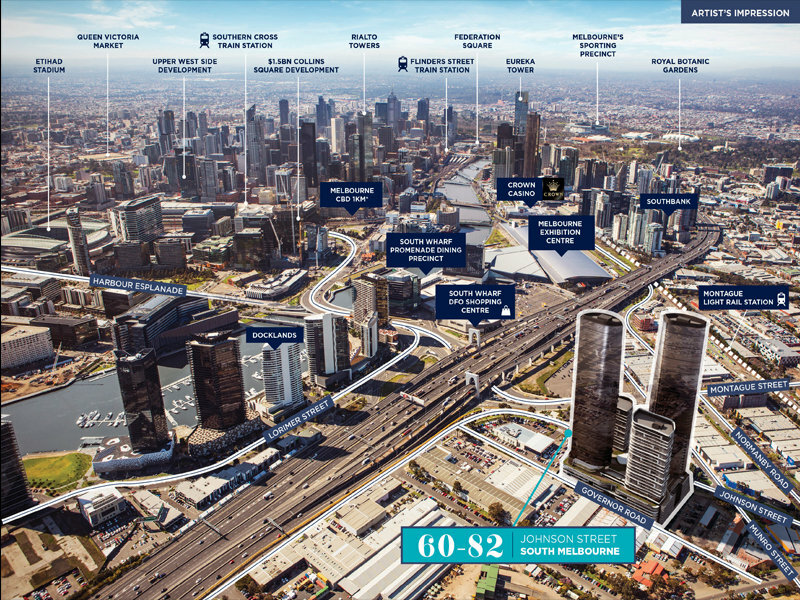 The planned population for Fishermans Bend is 80,000. Basing on the 14 applications on hand with 4 in Lorimer area, They have already filled around 40% of the quota. That is why the new height restriction only allow 4 storey in some area. Even with 40 storey limit, Fishermans Bend will be over populated! The Lorimer Precinct is the furthest from existing residential areas and should accommodate the tallest buildings. Restricting buildings to 40 levels is a blunt tool, which as you point out won't prevent 'overpopulation' and has been introduced for political reasons not planning reasons. Far more worrying from a planning perspective is the approval of 101 Salmon Street out in the middle of nowhere. Actually the City of Port Phillip did not object to the proposed height of these towers so I have no idea why they were cut by 7 levels. I agreed with your reason as polictical. It will be interesting to see how the 18 applications before April 17th height limit approvals will turn out. Really hope whoever buys the site goes with this scheme, they'd be mad not to. Ditto. The plans seem like it gets all aspects about right. One of my fav proposals. potentially more attractive proposition now that the interim controls are in place in CBD and Southbank.